Last week, we discussed the Italian political crisis and potential eurozone breakdown. That is a dangerous possibility, but far from the only one. As we’ll see today, the world has so much debt that the cracks could happen anywhere.I said above that if debt were a drug, we would outlaw it. But we also know that people get hooked on illegal drugs all the time. The law doesn’t stop them. Likewise, common sense and regulations don’t stop us from overusing debt. And as we will see, the withdrawal can be painful indeed. I should note that the CBO projections assume no recessions and an optimistic compound 3% growth rate. I think most of my readers would assume that neither will end up being the case.But even $199T back in 2014 was a lot of money. We should also note that, through the magic of double-entry accounting, each dollar of debt liability appears on someone else’s balance sheet as a $1 asset. Debt is wealth, if you are the lender. Most of you reading this probably are, in some fashion. 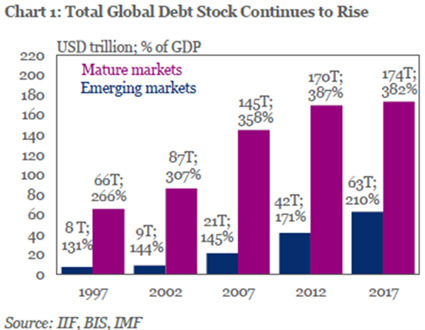 Some $4.8T in emerging market debt matures from this year through 2020, much of which will need to be rolled over at generally higher rates and, if USD strength continues, in a disadvantageous currency environment. Will that be possible? I don’t know, but we’re going to find out—possibly the hard way.But that’s a relatively minor concern. We have a much bigger one back home. Dismiss these articles as DGM propaganda at your own financial peril. This is the real deal. R-P... thks for the link. The original article it refers to is worth reading. a) Greenspan is in-arguably for me one of the significant contributors to our present state due to his in-competence and dogma. Here the senile old ***** is just drooling again IMHO. b) Everyone assumes when they look back historically we can grow for ever, ie this is cyclic. I'd suggest with Peak oil (and all the other peaks like iron, gold, coal etc) the cost of extraction / availability will be too high for our present industrial society/economy to ever really grow again and that is if we are lucky, hence no rebound / cycle. Far more likely is that we will enter decades if not more of economic contraction as our world de-globalises as we adjust to living local and within whatever renewable energy we have available. c) Given b) then the present mountain of debt can never be repaid there will never be the energy and hence economic activity to ever re-pay it. So a financial crash is inevitable, the only Q is when. Population peak will be the mutha of all peaks. Good quotes and very true IMHO. Debt is easy to get into and we are constantly assaulted to get into [more] of it and way harder to get out of. Amen Steven...Ain't that the truth..
Debt seems to be ubiquitous and most believe it to be harmless.. in this age of consumerism. Its a kind of invisible form of slavery,... in a way. It is the modern slavery IMHO. Why do I work? to pay my bills. What is the impact on the cost of debt of this? I have seen some writings that suggest the cost of goods is inflated by 30% just to cover the debt incurred along the supply chain. This means then in effect the owners of capital cream off the equivalent in Govn tax for no benefit to society unlike PAYE. and then throw in the inflated cost of accommodation. Just looking at what my house would cost to rent, about $2200 per month that if I did not own it outright would be a financially crippling sum if I had to pay that. In a small economy, large input and outflows must be questioned. Ask yourself this...will they come clean, or just wash their hands of any responsibility for their share of the pile. Who is the architect of it all. Who exactly would you have question capital flows? The govt? Given that they are the source of most of the problems in the first place I wouldn't think that's a good idea. The EU is thinking along the same lines as you and will likely ban short selling of the euro, bonds, etc. That's all very well, but just remember that you will be taking out most of the market makers and then you'll have NO bid. Result? Collapsing currency, collapsing bond market, collapsing economy. By targeting money laundering, you'd achieve little and tank the economy at the same time. While your point may be valid, the difference isn't the outcome but when it happens. Thank you John Mauldin, very convincing alas. Now, if all that debt cannot be paid maybe we can start thinking about which debt should not be paid. 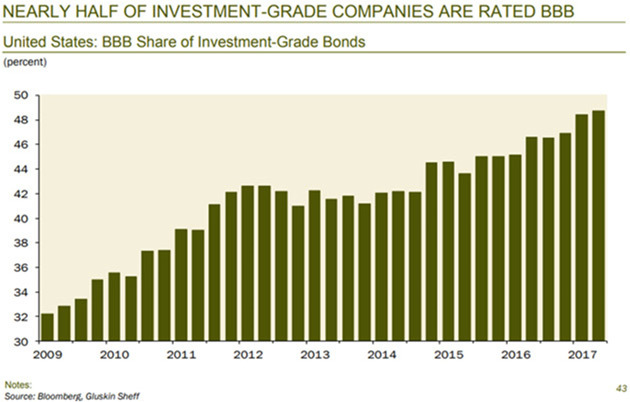 Now that debt is mostly tradeable, the market provides a clue. My target of first choice would be debt now held by vulture funds. Where they have bought debt at cents on the dollar their enforceable right to collect should be written down to that number of cents (plus some modest interest perhaps). To put it another way the sanctity of contract will certainly be broken by widespread default so there might be better/worse ways of breaking it. Some laws might need to change, in New York state? Debt might be less-eagerly-traded after such a change and future lender behaviour might improve. Others may suggest other targets? It is a target-rich environment. 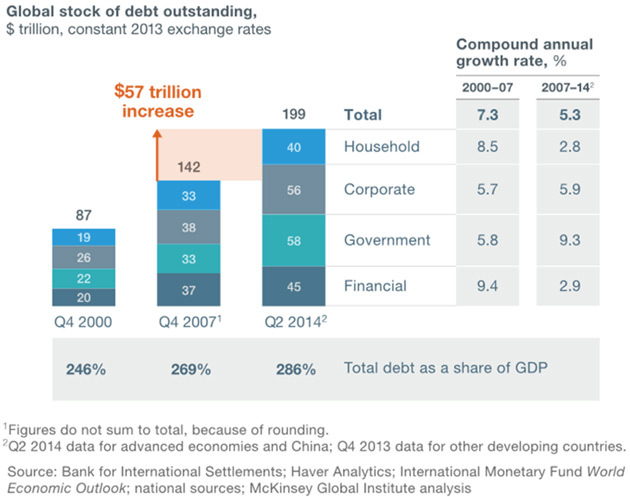 The way excess debt has been and always will be repaid is through debasing the currency. Hasn’t gone away - just out of sight for a period. Great for debt holders - just don’t be a saver unless your in hard assets - eg Housing. Maybe those with a long memory have it right after all. What I cannot understand is... where is the currency devaluation? Everybody seem to be debasing or creating money like madmen and the value is the same? Well how about , you show me the growth first? The current area of vulnerability for New Zealand is total household debt where levels are high when taking household debt collectively for all households in New Zealand. Given that the main source of borrowings for households are the banks and non banks and that the household debt exposure is large relative to bank capital levels, then the capital adequacy of the the banking system is potentially vulnerable to a large level of loan losses. The key asset that has been used as collateral for household debt is residential real estate, so the market prices of residential real estate is key for the stability of the banking system. If the banking system has a large level of loan losses then financial stability of the banking system could be a concern. Look at the impact of the banks needing to be recapitalised in Ireland in 2008/ 2009, the US in 2008 / 2009, and in Cyprus in 2013, and its affect on the local economy afterwards. When the banks are capital constrained, credit overall becomes difficult to come by as banks tighten loan underwriting criteria as the banks are in self preservation mode. This is when credit lines get pulled, and borrowers are forced into a financially constrained position and urgently need liquidity. Given that most household borrowers do not have access to sufficient liquidity, households then begin to sell assets to raise liquidity. To reduce their debt, deleverage and raise liquidity, many highly leveraged households sell their only asset - residential real estate. Let's get the basics right and hold off the scare mongering for a second. Some of us think of debt and borrowing as a hard cash out of mum and dad saving account and has to be returned by next year otherwise M&D might be in trouble or live in vain ....it's not like that! Debt is created and expanded so that the lender makes his money out of interest on that loan. It is neither logical nor beneficial for any lender to lower the lending amount or to ask for it back (as long as the interest is paid) .. in both cases the lenders ( who invested a fortune in selling the loan in the first place) will lose money !! .... so who will kill the golden goose ? ... No one will as long as the borrowers stays within the boundary of reasonable risk profile and can pay !! So why would anyone want to kill this business?.... On the other hand, debt is a weapon, a sword on the borrowers neck to tow the line and be Good !! Look, I think that despite the crocodile tears of the IMF and the world bank and others about the huge amounts of debt in the world etc, everyone is continuing the same path of lending more and encouraging states and individuals to borrow more as long as they are producing more and paying interest on time .... The US is borrowing over $1.5 trillion dollars every year and literally wasting it - I think they have or will soon top $22T ... are they going to pay it back? Smart people borrow and invest the money to generate few folds of the amount of interest they pay on it .. and they have assets and insurances etc in cover losses and emergency situations - the lenders know that and are happy with a win-win ... they are also happy for people to borrow to buy an asset as long as they service the debt and pay ontime. The only folks in trouble will be the ones who borrow and waste with no assets to cover - these are the idiots who would be exposed when the tide goes down !! Eco Bird, I started reading your comment and all the World's debt troubles momentarily disappeared. Only because I was laughing my head off :) Your take illustrates why we have a debt driven ponzi in the first place. It also clearly explains why all Kings in their Castles think they're impervious to what's coming next. I doubt that you understood a word I said RP, that is why you were laughing ... but good to learn that you are happy with your TD ticking over nicely. As you know, when (if) the whole boat sinks, No one is impervious ... my point was that do not expect that to happen soon as it is counter intuitive and in no one's interest. you can hate it and call it what you like - but it is what it is ! The fundamental difference between us is that you keep saying the sky will fall soon, next , tomorrow etc... while we keep making money and laugh all the way to the bank in anticipation ! Eco Bird, I'll admit we do share one thing in common. Both our investments are ticking. Only mine is in a good way. A lot of similar points being made in Auckland currently by the Auckland property price bulls and bears. "The only folks in trouble will be the ones who borrow and waste with no assets to cover.."
Its INCOMES that are in (collective) trouble. Hence the need to continually debase currency and run deficit spending under the guise of ïnvestment" ... all to prop up demand and provide income. So, basically you’re just saying that debt is simply money that pays interest...until it doesn’t. Money is created out of debt, so there is money floating around somewhere to pay MOST of this debt? 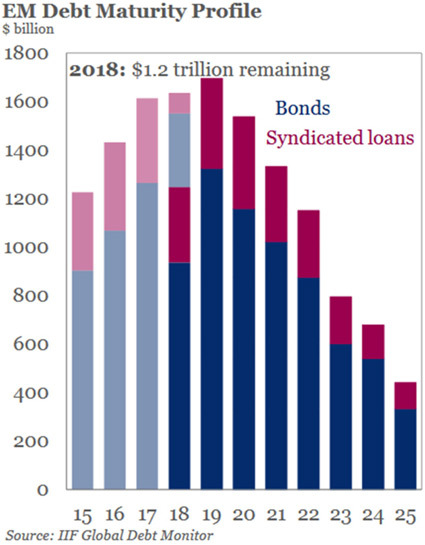 The problem with paying off debt and quantitative tightening is it's a contraction of the money supply. Obviously when debt is repaid, the money supply shrinks. This is probably the cause of many recessions. Many a conqueror has become wealthy by stiffing his creditors. All will be well until we have an " Event " old chap as Anthony Eden reminded us precipitates a crisis. It will occur - but almost by definition we don't know where or when. Think CHCH earthquake on a world scale. Yellowstone blows and covers Chicago with a metre of ash as has happened previously. Major asteroid strike - we have had 5 pass undetected between us and the moon year to date - a hair's breath in astronomical terms. Meanwhile being human we all just carry on and enjoy life as we should. John, thanks for your article. You highlight the issues of massive overbearing well. I’m not as much of a fan of debt as EB, but you could emphasise the reasons for interest rise are almost always a source of new growth that gains momentum, and not just a recovery of levels of activity. Innovation is the only long term source of business growth, and we are in innovative times, so the issue is not so much debt as being caught on the wrong side of innovation. 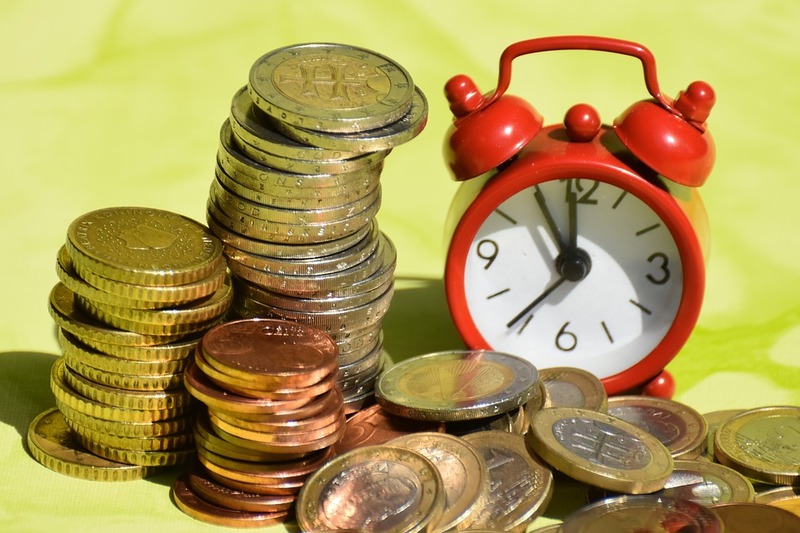 You look at overgeared individuals, businesses or countries in depth, and what starts of looking like a debt problem almost always turns out to be poor investment selection. 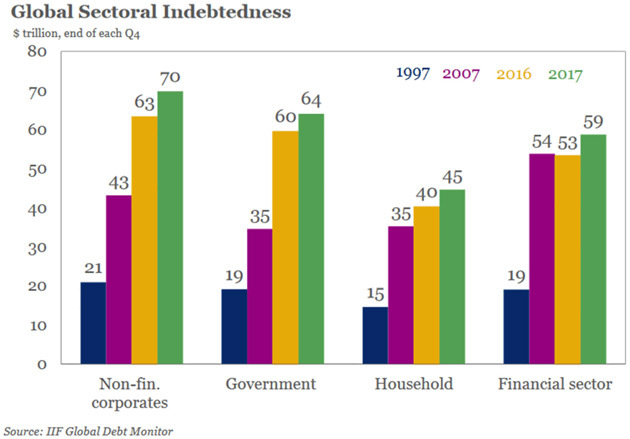 Conversely, the “too much debt so well stop spending and pay some off” has limited success - look at Greece. The “too much debt so well stop spending and pay some off” has limited success ... BECAUSE we are now in a consuming debt phase only. This isnt innovation or investment, its a ponzi scheme. Our primary source of ALL wealth is what comes out of the ground. All wealth/money/debt is only ever a claim on this. Thats the hard limit we are facing. Our primary source of wealth certainly DOES NOT come out of the ground. If that were the case then Russia, Africa, etc would be wealthy and Germany, Japan and Switzerland would be poor. The wealth of a nation is the productivity of its people. A bunch of lazy bums sitting on top of gold/oil reserves are still lazy bums without wealth. Ludwig - "The wealth of a nation is the productivity of its people"
Either way the issue is the world economy as a whole, but you will find Russia is indeed in a better position when the debt ponzi collapses. Japan & Switzerland have plenty of tertiary wealth (paper claims over 1) only as long as the ponzi holds. Once it comes crashing down it will take 20 years for us to recover to a period of zero growth. I wonder if I will see another period of prosperity within my lifetime. Whilst we should enjoy our day in the sun we should all be preparing for the upcoming crash, none will be immune. Part of the problem is that governments have a total debt addiction - & not just for themselves, but to keep the broader economy goosed along. All developed countries have tax regimes that reward debt and penalise savings. NZ could arguably be the worst, in that debt payments are tax-deductible, and the resulting benefits in growth are usually tax-exempt.